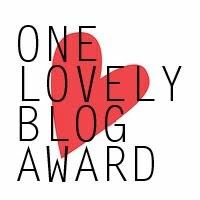 Nina from PrettyMade’s Fancy awarded me “One Lovely Blog Award”, thank you very much Nina,in my opinion my blog is not really lovely ;-), but thank’s anyway – it still warms my heart that you thought about me. My pace in blogging is so slow, that I am afraid nobody bothers to read my blog anymore. 5. Pay the love back with gratitude and link back to the blogger(s) who nominated you. 3. What is your favourite non-alcoholic drink? 5. What is your favourite pattern? 7. What is your favourite number? 8. What is your favourite day of the week? I follow so many absolutely fantastic blogs, so it is impossible to nominate everyone. I listed only few Finnish ones, which in one way or another feel closest to me. I also love the Lilies of the valley!! !